The Coalition of Haliburton Property Owners' Association (CHA) launched the Love Your Love Shoreline Inventory Project. This four-year project is in its final year and will have assessed some 14,000 shoreline properties across 60 plus lakes by the end of this summer. Each property is assessed by water to determine how much of the shoreline is natural, regenerative, ornamental or degraded with owners receiving a confidential assessment report on their shoreline, material about the importance of natural shorelines to lake health, as well as suggestions for upping the percentage of natural shoreline on their property. Lake associations receive lake-wide results allowing them to determine where their water body stands in relation to the accepted standard of 75 percent natural within 30m of the high water mark. As of the end of the third year, results across 47 lakes indicated that only 8 percent met the 75 percent natural standard with the average natural level being 48 percent. The project is now beginning to transition its focus from the evaluation to restoration and is encouraging demonstration sites on member lakes as a way to "change the conversation" about what truly sustainable shoreline development looks like. More information about the project can be found on the CHA's website at: www.cohpoa.org/shoreline-health. Abbey Gardens is a not-for profit charity and their big dream is to transform a spent gravel pit (300 acres) into a green space that provides economic and recreational opportunities for our community. The gardens, hiking trails, Food Hub, educational displays and local business partners (including a craft brewery) are all located on site in the beautiful Haliburton Highlands, Ontario, and overlooking Grass Lake. Everything they do helps further their mission to create opportunities to learn about living more sustainably. Tour the gardens, visit the heritage breed ponies and chickens, shop for local food at the Food Hub, enjoy lunch at their new restaurant patio or participate in one of their programming options throughout the year. 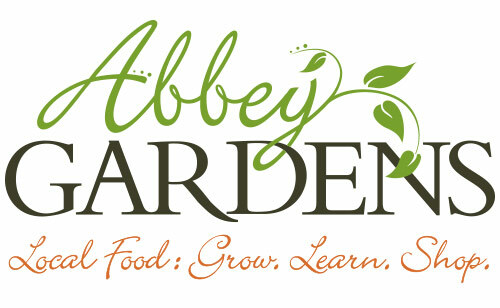 For more information, please visit abbeygardens.ca. Established in 1999, the U-Links Centre for Community-Based Research works with community partners, faculty and students to deliver high quality, relevant research services to Haliburton County. Through the innovative Community Based Education (CBE) program, U-Links works with community partners, and faculty and students from Trent University to bring the resources of the university to the community, and the resources of the community to the university. The results of our research are used to foster community development in many aspects of life in Haliburton County including social services, culture and recreation, health, agriculture and the environment. For more information, please visit www.ulinks.ca.